Rhema has attended a pre-school program a couple of days a week for the past few years. 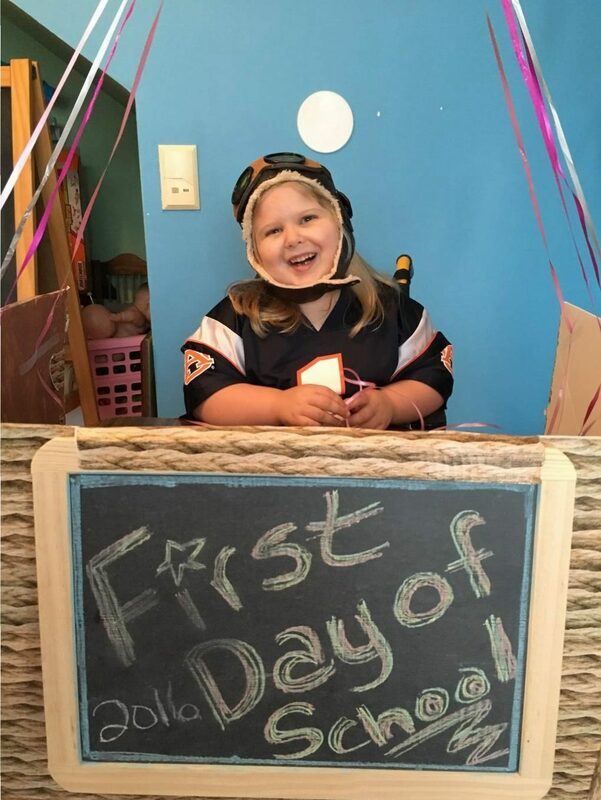 In many ways it gave a good foundation but when we closed out 2015 she was no where ready for Kindergarten. There were just too many gaps. Like I mentioned before, in many ways I feel she was just stalled. So, after much prayer we are entering into the Home-school Arena. Mamma attended 2 conventions, learned about many, many curriculum and have organized a massive, organized notebook that could chock a mule! The Lord also gifted us an AMAZING tutor to assist as we catch her up and fill in that foundation. Rhema loves this lady. Truly LOVES her and we could not be more excited to see the progress she’s made in a short time. We’ve settled on using two curriculum simultaneously and also bringing in lots of extras to support our goals. 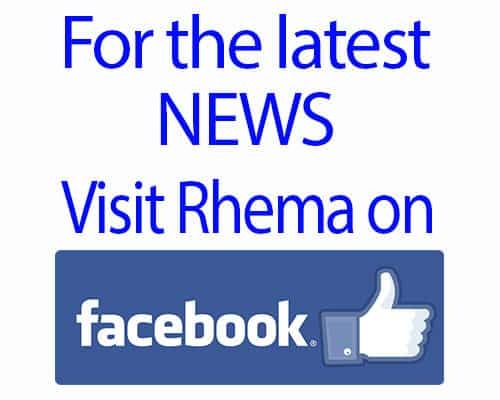 I’m LOVING all my time with Rhema and LOVE to see her get excited about learning! We are making books together, doing lots of tactile learning and I’m just really enjoying all this!!!! We’ve kicked out year off with a big opening day we entitled “Lifting Off to Learning” which included building a mock Hot Air Balloon. 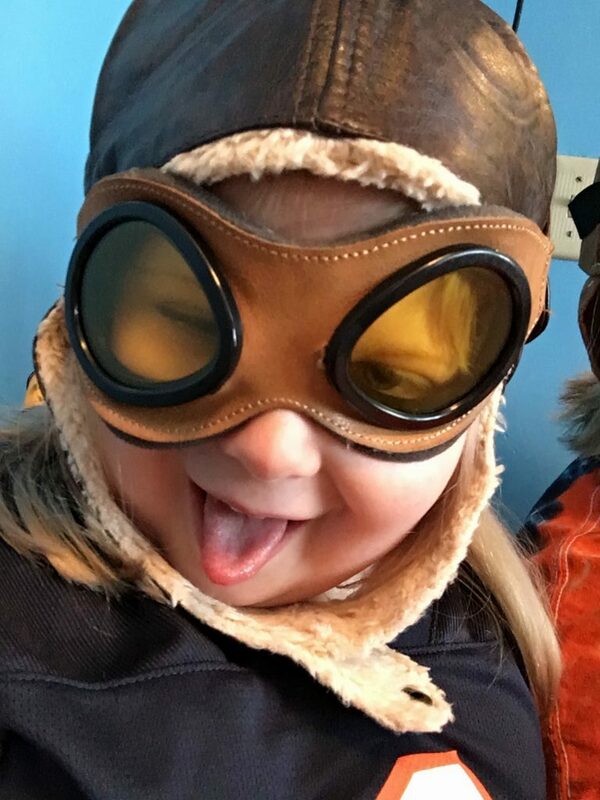 When Rhema found out that we were going to build a hot air balloon she insisted that she needed a pilot costume. 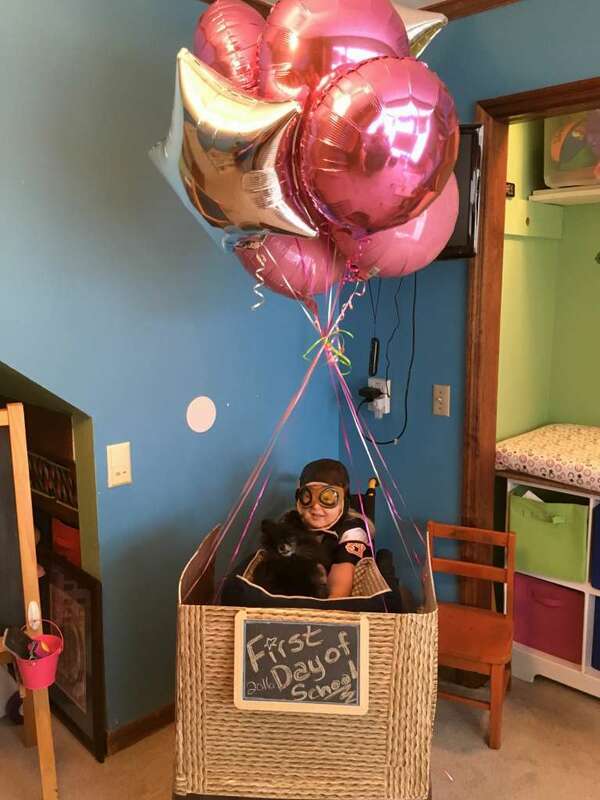 This kid LOVES costumes. Any day, all day, we hear about costumes and how she needs another one! So mamma found her a pilot hat and off we went! It was also, “wear your team color day” so that is why she has on her Auburn Jersey. LOL! I’m looking forward to sharing her academic Journey with you guys! It’s gonna’ be a GREAT year!